Affordable Bail Bonds Lynchburg: Who Can Pay For Your Bail? 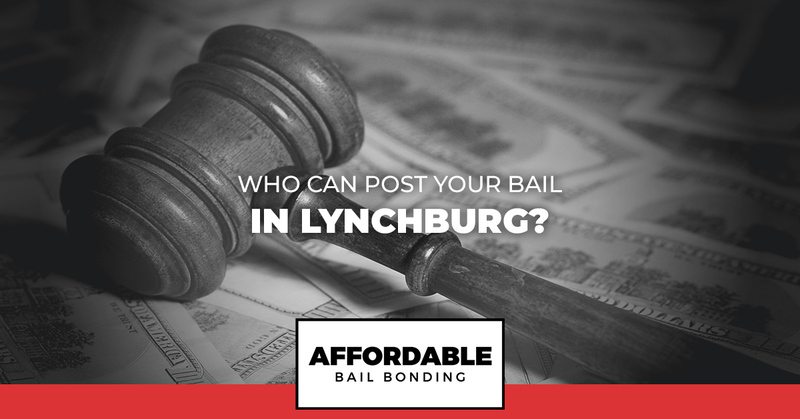 Who Can Post Your Bail In Lynchburg? If you have been arrested for committing a crime, you are considered by our justice system to be innocent until proven guilty. However, this is not often how it feels when you are sitting jail after being arrested. This is especially true because of how long you have to remain behind bars. Even though you are presumed innocent until the prosecution can prove otherwise, the justice system moves slowly. This is precisely why people need to post bail. Otherwise, you could sit in a cell for days or even weeks leading up to your court date. In this post, we are going to touch on what your options are when it comes time for you to decide if you want to post bail or not. We will also give you a better idea of who can bail you out and what happens when you choose to use a Lynchburg bail bondsman. Continue reading to learn more. The entire presumption of innocence is incredibly important to note. However, the government also wants to make sure that people who are charged with crimes show up for their court dates. This is why bail exists. It ensures that people who have been charged with crimes do not just take off and disappear after they are let out of jail. When bail is set, the accused, also known as the defendant, has to provide the bail to the court(either in money or interest in real property) in exchange for being released in the interim before their court date. The court will keep the bail during this time and throughout the defendant’s case. In the case that the defendant shows up for all of the court dates and abides by the set conditions of release, the bail will be refunded by the court as soon as the case is over. However, if the defendant does not do everything that they are supposed to, the bail is automatically revoked and forfeited. When it comes to posting bail, you basically have three options. You can either choose to not post bail, you can personally pay for your bail(or ask someone you know to), or you can use the help of a Lynchburg bail bond company. Personally, we think that enlisting the help of a bail bondsman is your best bet, even in the case that you may be able to scrape the money you need together. This will likely end up causing you financial stress throughout your legal proceedings. It makes much more sense to pay only a portion of the bail amount to a bondsman and have your money to live off as your case evolves. Do You Need A Bail Bondsman in Lynchburg? If you or someone you know has been arrested in Lynchburg and you need help coming up with the money to post bail, we would suggest that you contact us at Affordable Bail Bonding. We are discreet and caring professionals who will do everything we can to get you or your loved one out of jail as quickly as possible. Call us now for more information! Contact Us Today To Learn More About Our Lynchburg Bail Bonds!